One of my most financially helpful, but polarizing articles is The 1/10th Rule For Car Buying Everyone Must Follow. 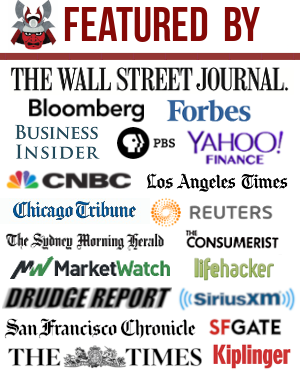 I wrote this post to help mostly younger folks not blow their money on the most common financial destroyer. We all know that almost all cars are guaranteed to lose value. As a young man, I used to view my Toyota Corolla Hatchback as an asset because I didn’t know better. How could a car be a liability when I could take girls out on dates, drive to William & Mary from the DC-area to get a solid education, and take a nice midnight jaunt along the Jamestown river during final exams? 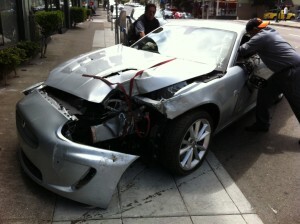 Now I view my vehicle as a liability. All I see in my garage is a large heap of metal necessary to transport my family safely. I’ve got to keep feeding it money in order for it to run – gas, new tires, maintenance, tax, tickets, accidents, and insurance. I’d much rather have the money sunk in my car producing passive income for financial freedom. 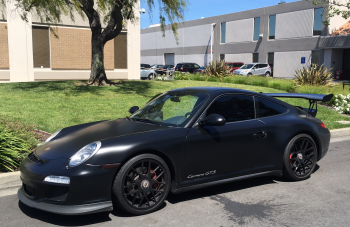 For those of you curious about what it’s like to follow the 1/10th Rule For Car Buying for the past 15 years, let me give you an honest assessment as an ex-car fanatic who has owned a dozen cars in his lifetime. The journey just might save you a lot of money and bring you more happiness in the process. In 2009, I watched in horror as a total of 690,000 new vehicles averaging $24,000 each were sold under the Cash For Clunkers program in 2009. The government’s $4,000 rebate for trading in your car ended up hurting hundred of thousands of people’s finances instead. Your $20,000 invested in 2009 in the S&P 500 index would now be worth over $50,000 today given the stock markets are now at record highs. Buying too much car is one of the easiest and biggest financial mistakes someone can make. Besides the purchase price of a car, you’ve got to also pay car insurance, maintenance, parking tickets, and traffic tickets. When you add everything up, I’m pretty sure you’ll be shocked at how much it really costs to own a car and hurl. 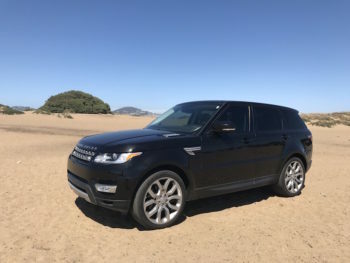 As you may have read from my Net Worth Rule For Car Buying post, I’m looking into buying the latest Range Rover Sport HSE to replace Moose, a 15 year old Land Rover Discovery II. 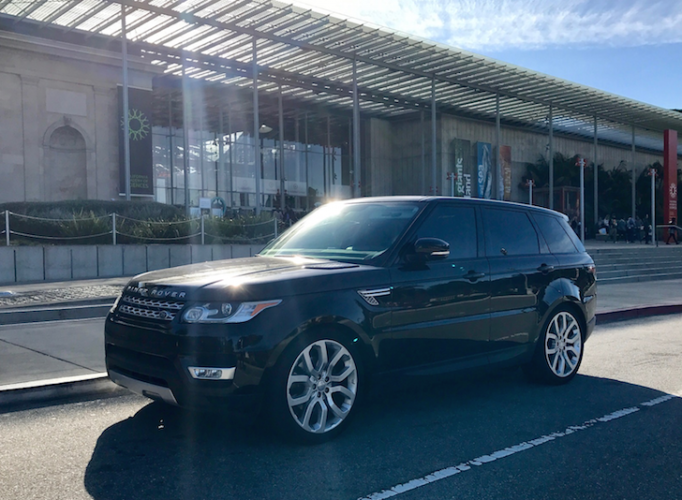 The 2018 Range Rover Sport can be had for roughly $73,500 MSRP, an exorbitant amount of money for a vehicle. SUVs are an anathema to eco friendly San Francisco. But I’ve long argued that if you don’t completely destroy your car before buying a new car, you are still ADDING pollution to the world. I like SUVs because they ride high so I can see what’s going on in traffic. They can go through snowstorms with ease, a necessity for when I go up to Tahoe in winter. Furthermore, I’d rather be in a larger vehicle vs. a smaller vehicle during accidents. SUVs have become more fuel efficient thankfully. The new Range Rover Sport V6 engine produces 345 hp at 17 city / 23 highway. Just 10 years ago such an SUV would be a V8 and run around 12 city / 17 highway mpg with only 185 hp. But this is not a post to defend purchasing a large vehicle. This post’s purpose is to discuss the aspect of purchasing a vehicle for your business in order to deduct the expense! With the tax reform act passed at the end of 2017, buying a truck or an SUV that is over 6000 pounds has become more favorable for 2018 and beyond. After deep deliberation, I decided to pass on buying the $550,000 Mercedes G650 Maybach. It just felt like too much to spend on a family car when I could invest the money and earn $20,000 a year in passive income forever! Thank you all for your advice. I ended up buying a late model 2015 Range Rover Sport V6 HSE with 11,200 miles in Santorini black with black leather interior. It’s in perfect condition with a warranty until July 2019. The original sticker was $76,000 before tax or roughly $83,000 out the door. Such good value compared to the G650 Maybach right? During my latest car hunting process, one of the questions I had was what to do with my three-year lease agreement with 20 months remaining. In September 2014, I decided to lease a Honda Fit for my business for only $235/month after tax. About 80% of the cost is deductible since I primarily use Rhino for going to conferences, visiting consulting clients, and giving the occasional Uber ride when they are going my way. When I was in my 20s, I’d always just pay cash for a vehicle and flip it a year or two later for even money or a small profit. I loved the hunt and the negotiation process. As I got wealthier, I put more value on time and simplicity. I wanted minimal maintenance headaches. I also wanted the option of just handing the keys in when my lease term was up. 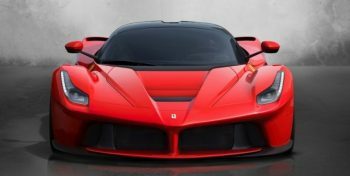 But due to the desire of owning a mid-life crisis car and only having one indoor parking spot, I wanted to learn what my options were for an early lease termination. Perhaps some of you want to terminate your car lease because you are bored with your car. Or maybe you’re relocating for a job or just can’t comfortably afford the payments anymore. Here are your options after speaking at length with a couple vehicle leasing department personnel. After analyzing the safest cars on the road and researching the best mid-life crisis cars to buy, I’ve finally come to a decision on what to get next. 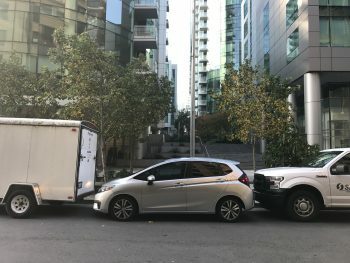 For almost three years, I’ve been driving a Honda Fit to weave my way around Bay Area traffic. The $235/month business lease is almost over, and it’s time to move on. I’m turning 40 this June, and gosh darn it, I think I deserve to drive something nicer! Given I’ve spent my whole life being frugal, it’s been extremely hard to spend more than $20,000 on a car. It just feels dumb when my car will just sit in the garage for 23 hours a day on average. Further, cheap ride sharing options are everywhere. What used to cost $25 to go downtown via taxi from the western side of San Francisco now costs only $6 through Lyft line! 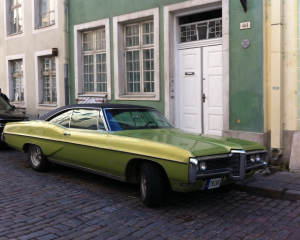 To help overcome my frugality, I asked three folks with nice vehicles to share their perspective. For those who are also suffering from frugality disease due to an intense desire to never have to work for anybody again, I think you’ll find this post to be incredibly insightful. 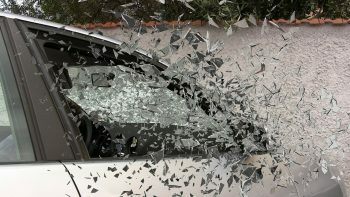 Did you know that despite all the technological advancements in car safety, the car accident death rate had the highest rate of increase in 50 years in 2018? Lower gas prices and a better economy are two reasons cited for more driving and more dying on the road. But the other culprit is distracted driving due to our damn mobile phones. We’re texting, searching for new Pandora stations, and surfing the web while driving more than ever before. Within the past three months, I’ve witnessed four accidents and experienced three close calls. One accident was strange because two cars stopped at a four-way intersection with stop signs, but the Audi Q5 SUV then proceeded to plow into the Toyota Prius’ front passenger door! I was rolling up to the intersection when the accident happened. The woman driving the Audi wasn’t aware of the Prius to her left because she was either in a hurry or looking at her phone. Take a look at the following crash statistics in America and the world according to the Association For Safe International Road Travel for 2016. Road crashes are the leading cause of death among young people ages 15-29, and the second leading cause of death worldwide amongst young people ages 5-14. Road crashes cost USD $518 billion globally, costing individual countries 1-2% of their annual GDP. I love cars, but I love my life even more. The two easiest things a driver can do are: 1) slow down, and 2) stop looking at or talking on your mobile phone. If you’re a parent, I’d also consider not allowing your teenager to drive or get into a car with another teenage driver. For those of you who also value the importance of safety, especially if you have a baby or kids, I wrote this post for you. If you were to guess what the average new car price is nowadays, what would you guess? I guessed $23,000, since my Honda Fit is sweet and only costs $19,600 new. Given I’m frugal, leaving a 20% upside pricing buffer seemed logical. Too bad I was way off! According to Experian, one of the big three credit scoring agencies, the average car price now tops over $34,000 in 2019! Holy moly that’s ridiculous. All-time best selling family cars such as the Honda Accord and Toyota Camry only cost $26,000 fully-loaded. So how on Earth can the average car price now be 31% higher than these two?